שֶׁבְּכָל הַלֵּילוֹת אָנוּ אוֹכְלִין בֵּין יוֹשְבִין וּבֵין מְסוּבִּין, הַלַּיְלָה הַזֶּה כּוּלָנוּ מְסוּבִּין. This is generally translated as "On all other nights we eat either sitting or reclining, but on this night, we all recline." However, I recalled hearing or reading an explanation that said that mesubin in this case might mean "gathered around" and not "reclining". So for two years this sat in my queue, until this year. And in the spirit of of the Haggadah, I decided to ask a question of my own: What was the original meaning of mesubin and when did it come to mean reclining? I asked this question of many experts - some regular readers of this site, others well known researchers. While I can't thank them all individually here - I would like to express my appreciation for all of their help. So let's start explaining the term mesubin - מסובין (I'll discuss the vowelization of the word, with couple of alternatives at the end of the post.) I will review in parallel both the meaning of the word, and the practice of reclining. Biblical Period: The root of the word mesubin is סבב, which appears frequently in Biblical Hebrew. However, it almost always means "surround, encircle, turn around." There are only two verses where it might be related to dining. One is Shir HaShirim 1:12 - עַד-שֶׁהַמֶּלֶךְ, בִּמְסִבּוֹ. While most translations have "while the king was at his table", Kaddari says it means "at his circle." The other verse is from Shmuel I, and might be able to teach us more about the origin of the word. In chapter 16, the prophet Shmuel is visiting the family of Yishai, looking for the future king. The family is reluctant to bring the youngest brother, David, but Shmuel insists that they bring him. In verse 11, he says to bring David - כִּי לֹא-נָסֹב עַד-בֹּאוֹ פֹה. There are commentaries that explain this verse as "we will not continue (i.e. turn away) until he comes." But most translations offer "we will not sit down to eat until he comes". On the assumption that they were not going to be reclining on beds (as we will see shortly), the literal meaning would have been "sit around the table to eat". The association with reclining developed later. הַשֹּׁכְבִים עַל-מִטּוֹת שֵׁן, וּסְרֻחִים עַל-עַרְשׂוֹתָם; וְאֹכְלִים כָּרִים מִצֹּאן, וַעֲגָלִים מִתּוֹךְ מַרְבֵּק - "They lie on ivory beds, lolling on their couches, feasting on lambs from the flock and on calves from the stalls". The prophet Yechezkel also criticizes the practice: וְיָשַׁבְתְּ עַל-מִטָּה כְבוּדָּה, וְשֻׁלְחָן עָרוּךְ לְפָנֶיהָ - "you sat on a grand couch with a set table in front of it" (23:41). By the time we get to the book of Esther, the practice was viewed more neutrally, and we find Esther reclining on a bed: וְהָמָן נֹפֵל עַל-הַמִּטָּה אֲשֶׁר אֶסְתֵּר עָלֶיהָ - "Haman fell on the bed where Esther reclined" (7:8). In fact, Ish-Shalom claims that the common practice of reclining at meals began during the Persian period, and from Persia spread to Greece and Rome. Post Biblical Period: In the Book of Ben-Sira (9:11) we first find the certain association of סבב and reclining. (Segal says that perhaps here it is already in the hif'il form, which is the form we are familiar with - mesubin and haseiba.) Guggenheimer quotes 41:19 - "With a married woman do not lie on the elbow, and do not lie on a couch- אל תסב עמה- with her mixing drinks." Based on the verse from Shmuel above, we can say that perhaps the meaning changed from "sit around and eat" to "recline and eat" - because that was the common way of eating. Another possibility is that the root סבב developed from "revolve", to "rotate", to "recline". Period of the Mishna: By Greek and Roman times, reclining was the only proper way for free people to eat (primarily men for the Greeks, with the Romans we also find women reclining more). The Targumim (Onkelos and Yonatan) translated nearly every verse which included sitting and eating with the Aramaic root סחר - by which they meant "reclining", which was the practice when the Targumim were composed. (The exception that Ish-Shalom brings is Yechezkel 44:3, since it refers to sitting and eating before God, where reclining would not have been respectful). This root is identical with סבב - both mean "to turn, surround". However, it is not clear to me that the root סחר independently means "to recline" in Aramaic. I have only found its use in translations, and it seems to me they were perhaps trying to use a word that was similar to סבב. Rav Hai Gaon on Brachot 42b (mentioned also in the Arukh, as well as a number of Rishonim) uses the translations of Onkelos on Bereshit 37:25 and 43:33 as proof that the Hebrew word mesubin originally meant "to sit around the bread". He doesn't mention reclining at all. רבי יעקוב אומר, העולם הזה דומה לפרוזדוד בפני העולם הבא; התקן עצמך בפרוזדוד, כדי שתיכנס לטרקלין. What is the order of the meal? The guests enter [the house] and sit on benches, and on chairs until all have entered. They all enter and they [servants] give them water for their hands. Each one washes one hand. They [servants] pour for them the cup; each one says the blessing for himself. They [servants] bring them the appetizers; each one says the blessing for himself. They [guests] go up [to the dining room] and they recline, for they [servants] give them [water] for their hands; although they have washed one hand, they now wash both hands. They [servants] pour for them the cup; although they have said the blessing over the first cup, they say a blessing also over the second. They [servants] bring them the dessert; although they said a blessing over the first one, they now say the blessing over the second, and one says the blessing for all of them. He who comes after the third course has no right to enter. "Pesach eve close to mincha, one may not eat until it becomes dark. And even a poor person in Israel may not eat unless he reclines." The above translation is from the English Kehati, and it reflects the common understanding of the Mishna. But Tabori in his book Pesach Dorot, has a different understanding, in light of the above Tosefta. Since reclining was practiced at every meal, there didn't need to be a specific instruction to do so at the Seder. Rather the Mishna was telling the participants that they could not eat until (not unless) they recline. There could be no appetizers before the Seder meal as there were in other meals throughout the year. Talmudic Period: In the times of the Amoraim, particularly in Bavel, reclining at meals was no longer the norm, but only an elite few practiced it. Haseiba had previously represented an established meal (unlike "casual" sitting). That status had been replaced by the significance of a number of diners sitting around one table (which indicated a communal meal). So the Amoraim interpreted the mishna in Pesachim to mean that reclining was an obligation in and of itself, because it represented a sign of freedom and high status. From here we get the halachic discussion about which parts of the seder require haseiva. Geonim: By now reclining was so uncommon in ordinary meals, that it was regulated to the Seder. This was the time when the fourth question was formulated: "On all other nights we eat either sitting or reclining, but on this night, we all recline." (Ironically, they didn't really recline any other nights, but then again, they didn't probably eat much matza other nights of the year as well.) As the Vilna Gaon pointed out - that question was not included in the Mishna, since reclining was the common way of eating at that time. (Rav Kasher in the Haggadah Shleimah p. 115-6 has an entirely different approach, which Goldschmidt challenges in his Haggadah - p. 13, note 18). Rishonim: By this point, reclining was viewed as so foreign that a number of Rishonim suggested dropping it from the Seder altogether, as it no longer even represented freedom or high status. However, due to the fact that the "strange" behavior could encourage children to ask questions, haseiva is still widely practiced today. Modern Hebrew: We seem to have returned to our Biblical roots. Today mesubim מסובים means "diners, participants in a meal", and a mesiba means "party" with no reclining necessary. Perhaps even a better use of mesiba would be mesibat itonaim מסיבת עתונאים - "press conference", which describes a gathering where people are surrounding the speaker. A note about the pronunciation: The early acharon R' Shabtai Sofer, quoting R' Yosef Kimchi (the father of the Radak) writes that the word מסבין should be pronounced musabin - like the מוּסַבֹּת that appears in Bamidbar 32:38. He claims that the common vowelization mesubin is likely a scribal error. In the "Mah Nishtanah" in some Yemenite Haggadah texts the two forms messubin (מְסוּבִּין) and meissabin (מֵיסַבִּין) both appear in the following sequence: "bein yoshvim uvein m'ssubin" בין יושבין ובין מסובין (whether sitting or reclining), "wahalaylah hazeh kulanu meissabin" והלילה הזה כלנו מיסבין (but this night we all recline). In other texts the form m'ssubin appears twice as it does in the versions of Rav Sa'adiah Gaon and Maimonides. One Yemenite scholar - Rabbi Yechiya Bashiri who lived in the 16th century - saw this differentiation in form as a definite semantic difference, as well. He noted: "m'ssubin" (מסובין) – "they assembled, and "meisabin" (מיסבין) - in the sense of "reclining," since it was the custom of the sons of the kings to recline on their left sides. This Yemenite scholar interpreted "m'ssubin" (מְסוּבִּין) to mean "coming together," and "meisabin" מֵיסַבִּין as "reclining" (from the Hebrew "hasibah"הַסִּיבָּה ), or sitting at the table in a slightly reclined position, in the manner of a free man. Both of the forms in question come from the root samoch - bet - bet סבב in the "hiphil" construction. 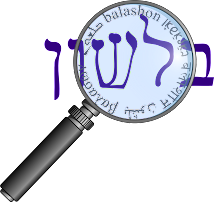 The form m'ssubin מסובין should have been m'ssibin מסיבין (as in the root qof - lamed – lamedקלל : meikelמיקל / m'kilimמקילים ) How then did the form m'ssubin actually come into being? What we have here is a distinctive linguistic - phonetic phenomenon called assimilation, accordingly the chirak (ִ) in the letter samoch (ס) becomes a "u" sound in order to assimilate to the labial consonant which follows it immediately [ב=bet]: missibin > m'ssubin. The form meisabin (מֵיסַבִּין) which is found in the Yemenite Haggadah may possibly be explained as another example of the preservation of a basic vowel form, specifically, the vowelized singular from meisav מֵיסַב (as it appears in the Yemenite tradition, as opposed to meiseiv מֵיסֵב as it is pronounced by other communities ) was left in its place in the plural form, as well (and not replaced by a shva) thus producing the form meisabin. Despite the convincing arguments of R' Shabtai Sofer on the one hand, and the Yemenite scholars on the other, Kohut in the Aruch Hashalem justifies the common pronunciation mesubin. He writes that from the term mesiba was derived the single participant mesuba מסובה. The plural of that should be מסוביין mesubayin, but this became assimilated to mesubin.